But the themes are similar. Once again, we have a variety of shorts, introducing Americans to their neighbors down south, exploring different countries and cultures through the eyes of Donald and his friends, José Carioca and Panchito Pistoles. And once again, it is unclear whether the shorts are intentionally propagandistic and demeaning to the countries they are trying to represent. 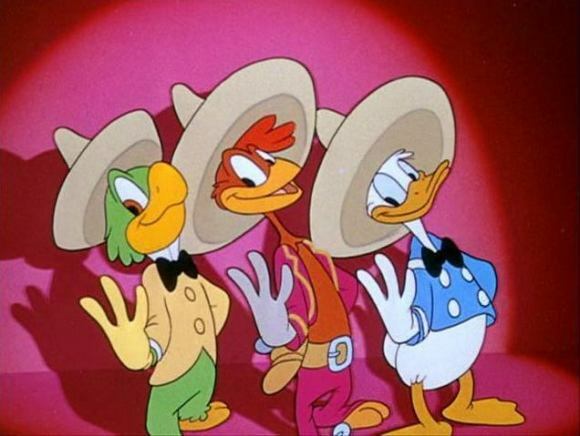 While not as overtly propagandistic as Saludos Amigos, The Three Caballeros still seems to focus on the aspects of Latin America that citizens of the US would relate to and find appealing. 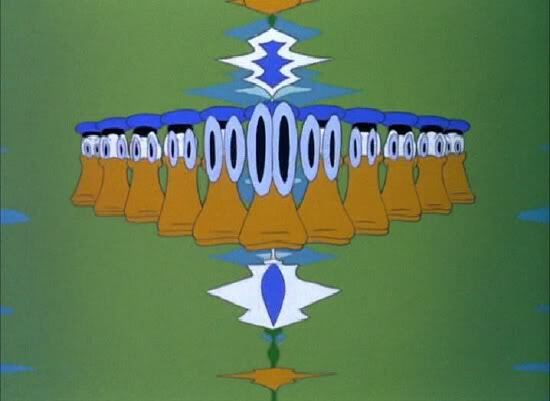 Or maybe it merely simplifies or misrepresents the truth to those watching. So while The Three Caballeros might not have been as propagandistic as Saludos Amigos, it certainly misrepresented the countries. I am sure the beaches of South America have men on them too, and that there is more to Brazil than beautiful women singing up and down the street looking for an American to seduce them. This much hasn't changed in the entertainment industry almost seventy years later: story comes before all else. Disney may have pushed the boundaries of the medium in this film, but I'm afraid it will always be overshadowed by the damage it did by misrepresenting the cultures of our neighbors down south. Luckily, this film ends the reign of propaganda at the company, and I look forward to seeing what they produced next! 1. Ross Care, "Make Walt's Music: Music for Disney Animation, 1928-1967," in The Cartoon Music Book, ed. Daniel Goldmark and Yuval Taylor (Chicago: A Capella Books, 2002), 32. 2. Eric A. Galm, "Baianas, Malandros, and Samba: Listening to Brazil through Donald Duck's Ears," Journal of Folklore Research Reviews (2009): 274. 3. 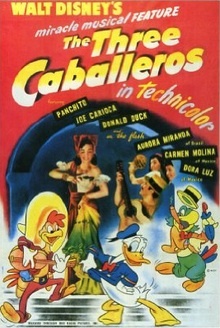 Wikipedia, "The Three Caballeros," https://en.wikipedia.org/wiki/The_Three_Caballeros. 5. Galm, "Baianas, Malandros, and Samba," 258. 6. Wikipedia, "The Three Caballeros."